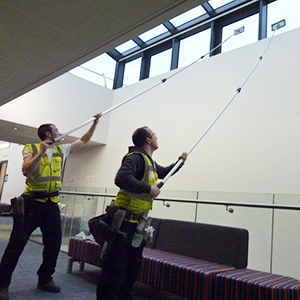 Adept cms can clean your windows both externally and internally, as well as your windows we can clean glass partitions, staircase panels, atrium and canopy roofs. 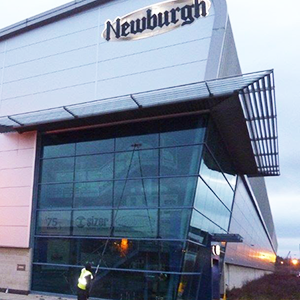 A Regular window cleaning schedule is always best to keep your property looking appealing to you, customers, staff and prospective clients. Your Clean or dirty windows are one of the first things your clients will see. Clean windows convey an attitude of care and attention to detail. 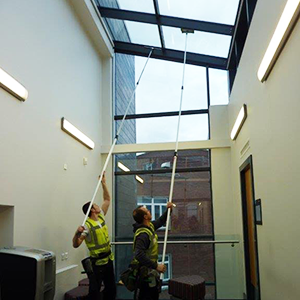 Clean windows allow natural light to penetrate the building adding to you and your staff’s wellbeing. A regular cleaning schedule prevents a build of dirt and possible staining from minerals in rain water which can be costly to remove from your windows. The same goes for your frames, cladding, atriums, covered walkways, signs, solar panels, conservatory roofs, soffits and fascia’s. 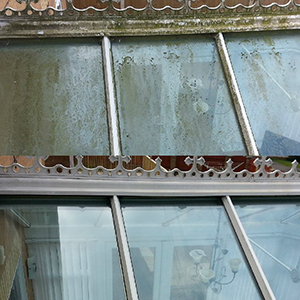 We use a Pure HOT water cleaning system which means we use less water, work quicker and leaves your windows with better cleaning results than the commonly used cold water systems. 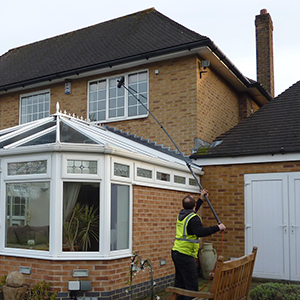 We are experienced in all cleaning systems, traditional, pure water, harness and powered access, we will use the safest, most effective method possible for you and your specific requirements. 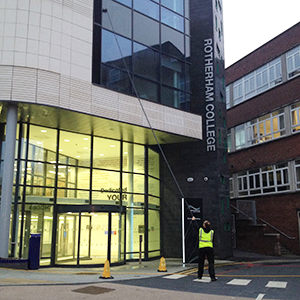 We can also clean your cladding, signs and pathways. We can clean your windows at a time convenient to YOU. How often depends on you, but we can provide a free site survey taking into consideration traffic (both mechanical and human), the environment, your concerns and your budget.